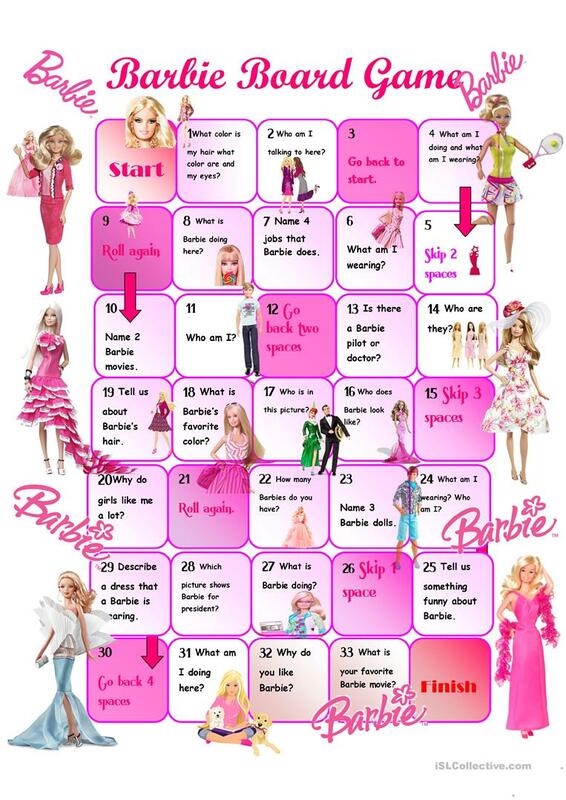 A Barbie boardgame for Barbie fans everywhere. Students who play this game should know relevant facts about Barbie. Students must answer the questions in the box they land on. Good conversation practice. The present downloadable worksheet is meant for elementary school students and kindergartners and nursery school students at Beginner (pre-A1) and Elementary (A1) level. It is aimed at revising Present simple tense in English, and is useful for improving your students' Speaking skills. It is focused on the theme of Celebrities (stars, famous people).